Catholic Chaldean Patriarchate, the Russian Orthodox Patriarchate of Moscow, the Episcopal Church of the United States (ECUSA) and the See of St. Augustine at Canterbury (Church of England). and convoluted. Many bishops were consecrated, and then later consecrated sub conditione (“under the condition” that is, this later consecration will add or supplement whatever was missing in their previous consecration) numerous times in an effort to insure valid Apostolic Succession. Often they exchanged consecrations, as problematic as that practice is. It was practiced that at times when autocephalous bishops gathered for consecrations or other occasions many would quietly and unofficially request that other bishops impose hands, thereby continuing the odd practice of an unofficial consecration but in their minds still receiving the graces of the spiritual apostolic succession of the bishop imposing hands. This practice still exists with some independent catholic bishops. Consequently, great circular loops of consecrations will be found in this lineage, with several bishops’ names appearing over and over again. This list below of apostolic succession proceeds from chronologically earlier consecrations to more recent ones, limited to principal consecrating Bishops, and listing co-consecrating Bishops only where necessary. This list attempts to illustrate the previously mentioned circular loops of consecrations, but consecrations that have occurred after a particular bishop consecrated another one have been omitted, since they are irrelevant to this lineage. In other words, if Bishop A. consecrated Bishop B., and at a later date Bishop C. conditionally consecrated Bishop A., Bishop C. will not appear in this lineage since his conditional consecration of Bishop A has no bearing on the consecration of Bishop B. 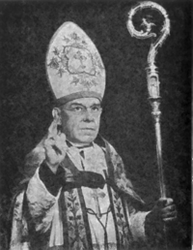 As with any “family tree,” this Apostolic Heritage includes a large number of persons and characters of particular importance for the Autocephalous and Old Catholic Church in the United States, including Dom Carlos Duarte Costa, Bishop Joseph Rene Vilatte, and Bishop Arnold Harris Mathew, among the most important of the major figures in Independent Catholic history. Most were men of great caliber, dedicated to the service of God and humanity. Regrettably, a few were of dubious character, and a very few were manifestly heretical. Some are very well known, but many are virtually unknown. We are justifiably proud of most of these men, and embarrassed by a few. Be that as it may, the historic record of this complex “family” stands as is, or at least as best remembered and documented. Succession from various Churches and Traditions. Several lines come from the Roman Catholic Church, including the Armenian Catholic Church; the Chaldean Catholic Patriarchate; and the Melkite-Greek Catholic Patriarchate of Antioch; which are Eastern Rites of the Roman Catholic Church, the Igréja Católica Apostólica Brasileria; the Old Catholic Church of Utrecht (Oud Katholicke Kerk van Nederland); and the Order of Corporate Reunion. The lines from the Orthodox Tradition come from the Russian Orthodox Patriarchate of Moscow through the Syrian Orthodox Mission to North America; the Apostolic See of Saint Peter at Antioch through the Malankara (Malabar) Orthodox Church of India; and the Apostolic See of Saint Mark the Evangelist at Alexandria through the Greek Orthodox Church and the Iglésia Ortodóxa Apostólica Costaricense; as well as the Greek Orthodox See of New Justiniana and all Cyprus. The line from the Anglican Tradition comes from the See of Saint Augustine at Canterbury (The Church of England) through the Episcopal Church of the United States; and the Iglésia Filipina Independiente. I have maintained the spelling of names of bishops as they came to me through various sites and persons. The same bishop therefore may have two or more spellings of their name, depending on the list. This is due to the Latinization of some names and Anglicization of others, particularly Dutch names, on any given list. bishops kept scrupulous records while others kept none. Due to the nature of independent Catholicism, upon the deaths of many bishops their papers were destroyed or simply lost. 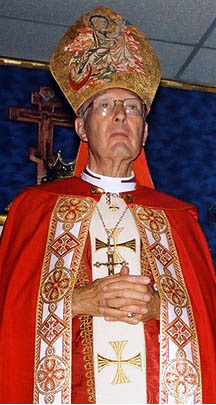 Case in point: Archbishop Vilatte’s personal papers disappeared upon his death in a French Catholic monastery. 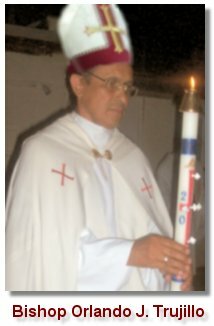 Some episcopal consecrations are very well documented, others are completely undocumented and even disputed. This Episcopal Lineage relies heavily on assistance provided by His Excellency, the Most Reverend Mark Steven Shirilau, Ph.D., Archbishop and Primate of the Ecumenical Catholic Church, His Excellency, the Most Reverend Peter Paul Brennan, Prime-Bishop of the Ecumenical Catholic Diocese of America, and Bishop of the African Orthodox Church, and the work of Rev. James Cwan of the Independent Evangelical Catholic Church in America. It is important to note also that when a bishop is consecrated, he/she receives the apostolic lines of each consecrator. In the case of Bishop Doyle, my principle consecrator was Bishop Wilkowski, but I also received each of the lines of co-consecrating Bishops Trujillo, Shirilau, Gundrey, and Kroski. Archbishop Shirilau consecrated Bishop Martin who consecrated Bishop Wilkowski, and Bishop Kroski was consecrated by Archbishop Gundrey. the presence of several persons whose consecrations are admittedly undocumented or even disputed, but this would be an error. Apostolic Succession can best be viewed as a rope connecting the original twelve Apostles of our Lord Jesus Christ to the Bishops of today. Each Bishop in this Lineage represents one strand in that rope, and if a few of those strands are weak or even defective and broken, those Bishops who’s Apostolic Succession is undisputed keep the rope strong. clarifications available to those ecclesiastical historians who may see flaws or mistakes in our lineage. We welcome your comments and ask for and welcome documented corrections. Apostolic Succession of the North American Catholic Ecumenical Church (NACEC) from the Roman Catholic See of St. Peter through the Igrega Catolica Apostolica Brasileira (Catholic Apostolic Church of Brazil). 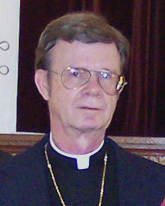 David John Doyle as Bishop of the Diocese of the Southwest (IECCA), who was later Founder and Presiding Bishop of the North American Catholic Ecumenical Church (NACEC). 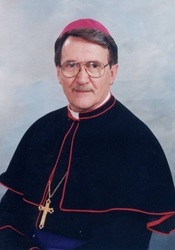 David John Doyle as Bishop of the Diocese of the Southwest ( IECCA), who was later Founder and Presiding Bishop of the North American Catholic Ecumenical Church (NACEC). 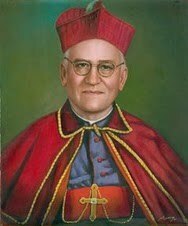 *Bishop Carmel Henry Carfara is also said to have been consecrated by Bishop Joseph Rene Vilatte on April 7, 1907, “to represent the Italian people.” Hence the later “sub conditione” consecration in 1916. *Leon Chechemian was originally consecrated April 12, 1879 by Leon Chorchorunian** of the Armenian Catholic Church, an Eastern Rite of the Roman Catholic Church. **Leon Chorchorunian was consecrated May 7, 1861, by Gregoire Pierre VIII, Catholicos of the Armenian Catholic Church. David Doyle as Bishop of the Diocese of the Southwest of the Independent Evangelical Catholic Church in America (IECCA), who was later Founder and Presiding Bishop of the North American Catholic Ecumenical Church (NACEC). 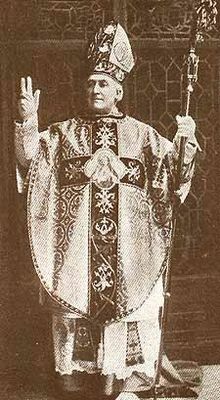 David John Doyle as Bishop of the Diocese of the Southwest of the Independent Evangelical Catholic Church in America (IECCA), who was later Founder and Presiding Bishop of the North American Catholic Ecumenical Church (NACEC).